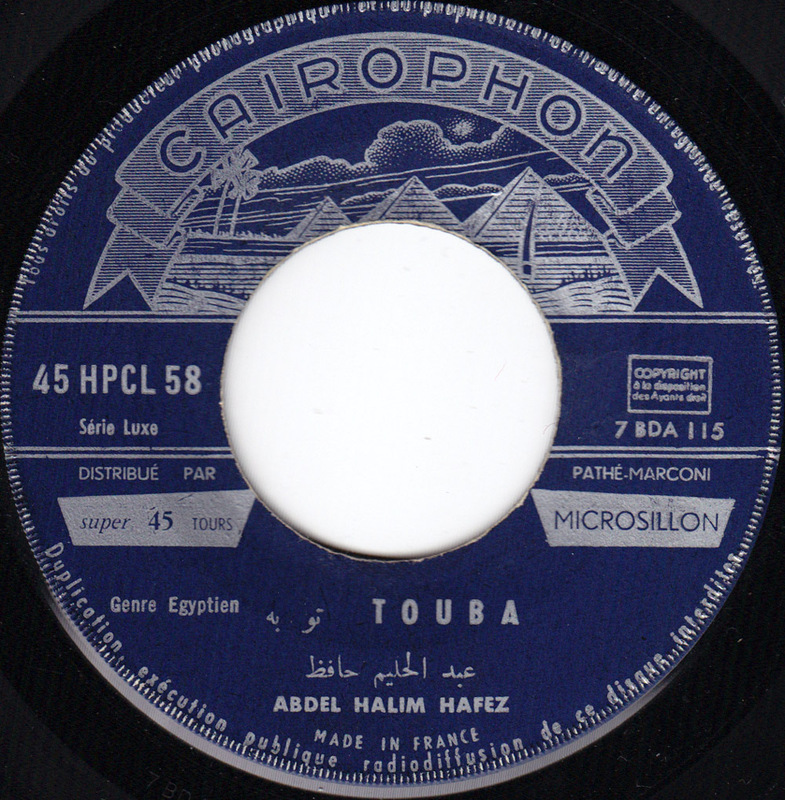 In solidarity with the recent uprising in Egypt, I´d like to present a record from Egypt. 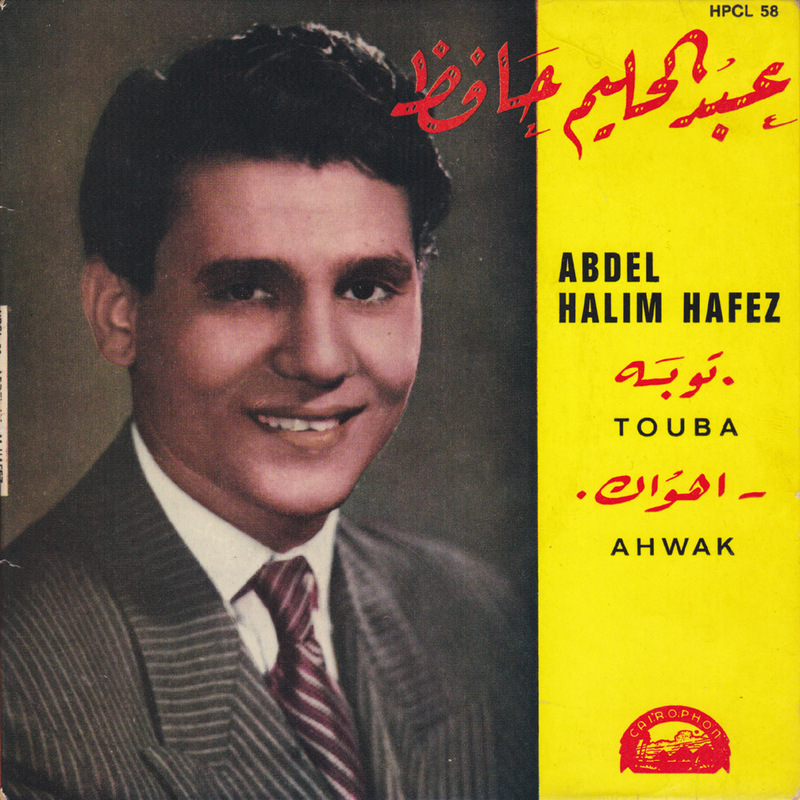 Nothing obscure though, as Abdel Halim Hafez is “among the most popular and celebrated singers ever in Egypt and the Arab world“(Wikipedia). Touba and Ahwak were huge hits. Strangely, for such famous recordings, nobody seems to have taken the time to scan this record and post it on the Internet. At least, I haven´t found a picture of it.